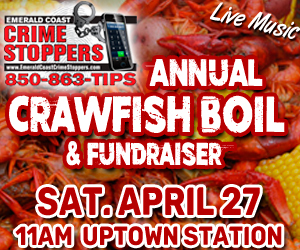 Contact Nicole Wagner at 850-609-3028 or at info@emeraldcoastcrimestoppers.com to become a sponsor. Thank you to our wonderful community, our sponsors, the OCSO Explorers and our dedicated board members for another successful Crawfish Boil! We had another sell out year and are looking forward to next year!